Bixby Masonic Lodge No. 359 organized in 1906 and was chartered in 1908 with 20 members. Founding Charter members were Curtis R. Rambo, Othello C. Henderson, David T. Garner, Benjamin F. Waterson, Claude Sample, William N. Nance, Walter S. Jarvis, J.F. Kays, Sr., David M. Phillips, Walter R. Fessenden, M.F. Young, Henry Hornecker, William W. Stuckey, James Griffitts, Oscar B. Price, William D. Phillpot, Edgar B. Coe, Orvil W Brown, Henry P. Ward and Morton Henderson. In early years the Lodge me in the meeting rooms above Forry Drug and the First Nantional Bank on Armstrong Street in downtown Bixby. They soon moved to the IOOF building and shared facilities with the Odd Fellow Lodge, VFW and American Legion. In the mid 1940s, Garrett Ramsey, a Mason, talked to two other members, John O’Hara and Dr. Raymond Daily, about securing their own building. Daily owned a building on Armstrong next to O’Hara’s Ice Plant. An alley ran between the two buildings. O’Hara and Daily each donated a half lot next to their buildings, constituting the alley, to the Masons for the purpose of building a meeting place. The lodge was built in 1946. Among Bixby Masonic Lodge contribution to the community are scholarships to students, cameras for Bixby police cars and fruit baskets for the elderly. 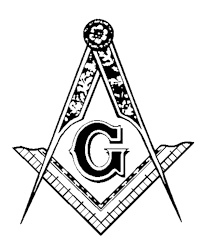 The origins and early development of Freemasonry are a matter of some debate and conjecture. There is some evidence to suggest that there were Masonic Lodges in existence in Scotland as early as the late sixteenth century, and clear references to their existence in England by the mid seventeenth century.